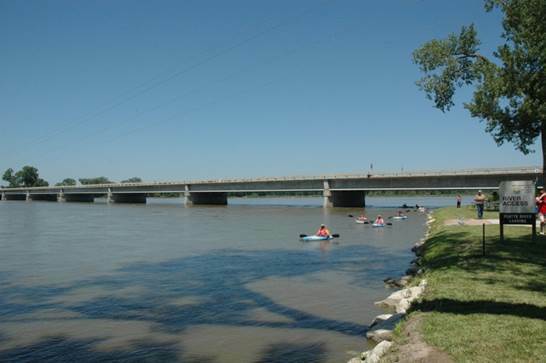 Known as the “Platte River Playground”, the Lower Platte River Corridor is a frequent recreation destination for more than 50 percent of the state’s population. Activities include camping, fishing, hunting, hiking, driving, biking, jogging, swimming, canoeing, boating, wildlife watching and picnicking. More than 3 million people visit the parks and recreational areas within the Corridor each year, generating over $30 million in annual income for the state. The Lower Platte River Corridor Alliance works to promote and enhance a wide array of activities such as the recent development of the “Platte River Connection” trail system between Omaha and Lincoln including the rehabilitation of a former railroad bridge for use as a river crossing and fishing pier.